Calling it the 'best shopping deal' out there, Amazon provides streaming content to Prime's members at no additional cost to the Rs 499 annual fee. 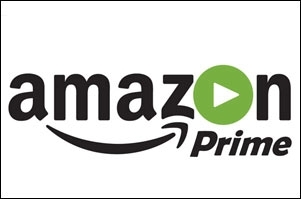 E-commerce company Amazon India has announced the launch of its video streaming service - Amazon Prime Video, in India. Bundled with Amazon Prime - a subscription that offers shipping discounts among other benefits - Amazon Video can now be streamed ad-free and on-demand, at no additional cost to the Rs 499 annual Prime membership. This amounts to just Rs 41.50 a month - much lower than rival Netflix's Rs.500 per month fee. Home-grown Hotstar, Star's OTT platform too offers its premium content at Rs 199 per month. Nitesh Kripalani, director and country head, Amazon Video India, said," We've worked hard to understand the challenges customers face while streaming," adding that the service has focused on seamless playback and low data usage here. Also commenting that the service had partnered with the best studios in India and worldwide, Kripalani added that they were 'just getting started'. On learnings derived from the company's global strategy for retail, he said, "Focusing on basics matter. Width of selection, the experience, reliable service, data consumption, and the value to customers are the basics. We understand that the market is small thus far, and we acknowledge piracy, but getting a great service out there consistently is important. Make every single touch point great - that's the goal for video too." This was also the global launch of Amazon Prime Video as standalone streaming service, in 200 countries and territories around the world at an introductory price of $3/€3 per month. On the India market, Roy Price, vice-president and head of Amazon Studios said in a statement, "Amazon is energised by the talent and the passion of India's film industry and is excited to be making multiple Indian original shows already, with more to come. It's no secret that Amazon is making a big investment in India, and is happy to take original content, created by Indian talent, to audiences worldwide." Also present at the launch were film directors Zoya Akhtar, Reema Kagti,Vikas Behl and comedy outfit, All India Bakchod (AIB) members Tanmay Bhat and Gursimran Khamba - all of whom have been roped in to create content exclusively for Prime Video. 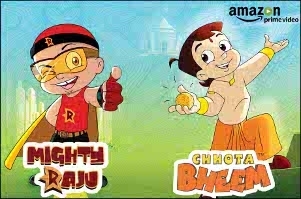 Team Amazon said that it has started production of multiple shows across genres such as drama, comedy, psychological thrillers, biopics, period/action, mythological/fantasy, sports drama and political satire. 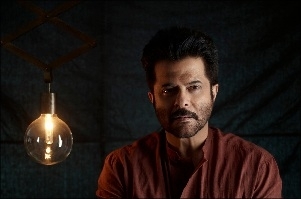 This list includes - Bodhidharma: Master of Shaolin (Equinox Features -Ram Madhvani, Prasoon Joshi and Sunil Doshi), Breathe (Abundantia Entertainment - Vikram Malhotra, starring R Madhvan and Amit Sadh), The Ministry (AIB and OML), Powerplay (Excel Media and Entertainment -Ritesh Sidhwani and Farhan Akhtar starring Vivek Oberoi and Richa Chadda), Mirzapur (Excel Media & Entertainment - Ritesh Sidhwani and Farhan Akhtar), Stardust (Phantom Films -Vikramaditya Motwane, Madhu Mantena, Anurag Kashyap and Vikas Bahl), The Family Man (D2R Films - DK Krishna and Raj Nidimoru), Vishpuri (Big Synergy -Vikas Bahl, Vikramaditya Motwane, Anurag Kashyap and Madhu Mantena) and Made in Heaven (Excel and Tiger Baby - Ritesh Sidhwani, Farhan Akhtar, Zoya Akhtar and Reema Kagti.). 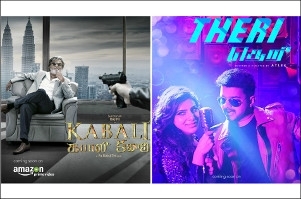 In addition to English and Hindi, the service will also offer regional movies in Tamil, Telugu, Bengali and Marathi. The team adds that a lot of the content will be 'subbed and dubbed' too. There is a visible absence, however, of sports content in the offering, but Amazon has bid for the rights of the Indian Premier League (IPL) this year, as a nod to India's obsession with cricket. As for international content, Prime members will also have access to Amazon Original Series from the US, including award-winning shows like Transparent, Mozart in the Jungle and The Man in the High Castle, as well as kid's content. This line up also has the new global adventure show, The Grand Tour, with Jeremy Clarkson, Richard Hammond and James May. Many TV shows will be available first on Amazon Prime Video a day after the US broadcast. Also in the library are movies and TV shows from Indian and international studios including Yash Raj Films, Dharma Productions, T-Series, Warner Bros, Paramount, CBS and Green Gold, as well as kids shows like Doraemon, Chhota Bheem and Oggy & the Cockroaches. Indian shows like Taarak Mehta Ka Ooltah Chashmah, CID and Crime Patrol (that are telecast on Sony Entertainment Television), top stand-up shows from comedians like AIB, as well as content from NDTV and CBeebies are part of the catalogue. 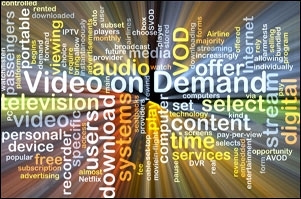 The Prime Video app can be downloaded on Android and Apple devices and on popular internet connected TVs and gaming consoles. Users can also download select content for offline viewing. Content, Video, Platform, Social...What defines the 'new age media company'? 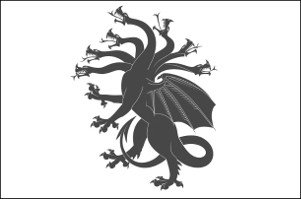 What's the online video war worth?